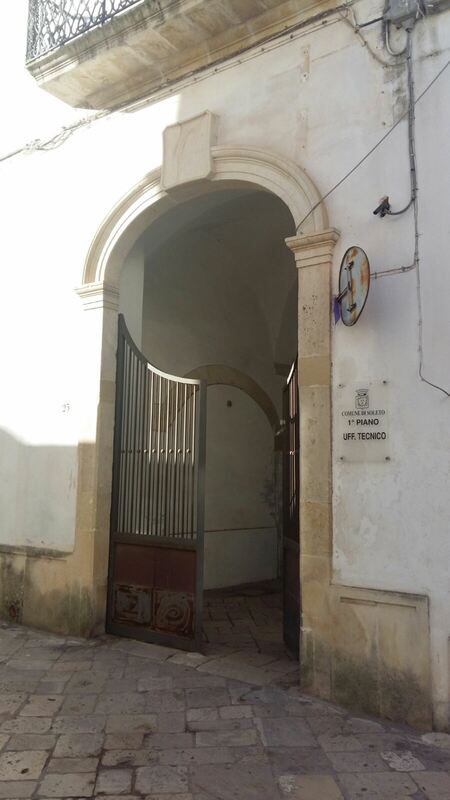 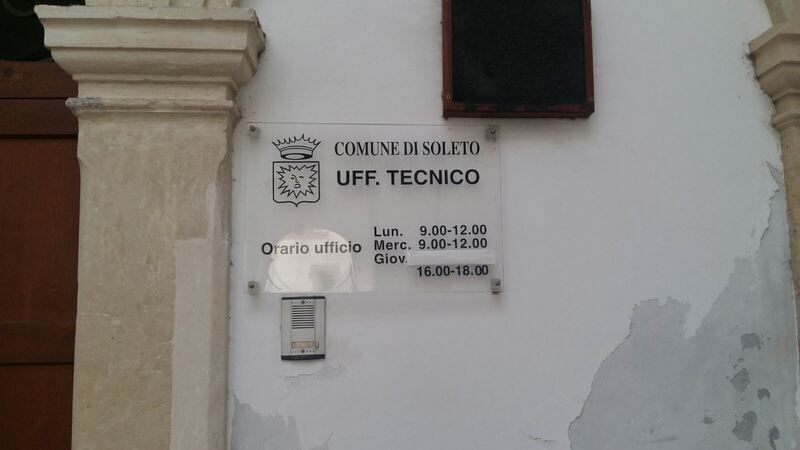 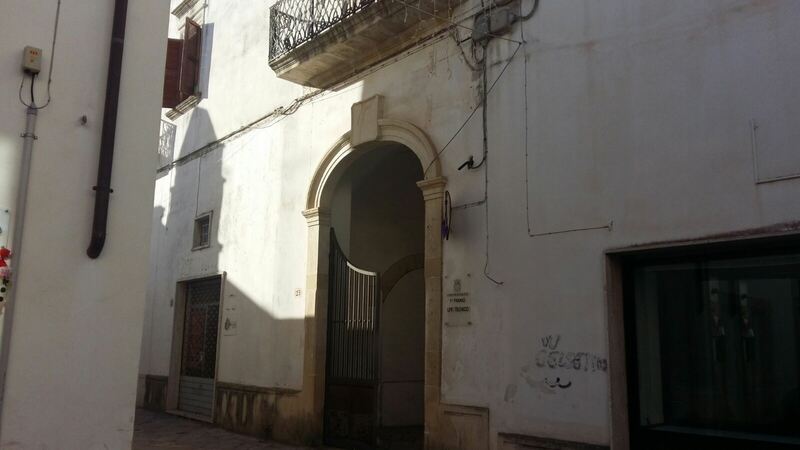 Old "Ospedale Maria Grazia Carrozzini"
List of Countries » Italy » Lecce and its Province » Old "Ospedale Maria Grazia Carrozzini"
The old ''Ospedale Maria Grazia Carrozzini'' was located in Soleto (Via Maria Grazia Carrozzini, 21). 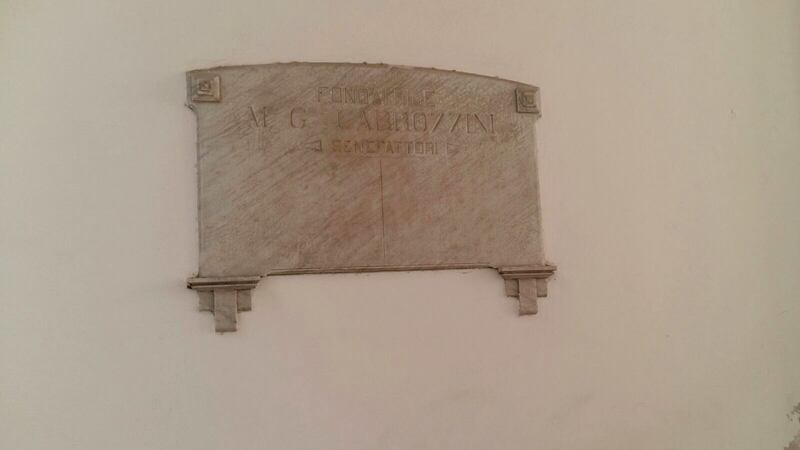 Since 1700 lots of Carrozzini family members practised as doctors. 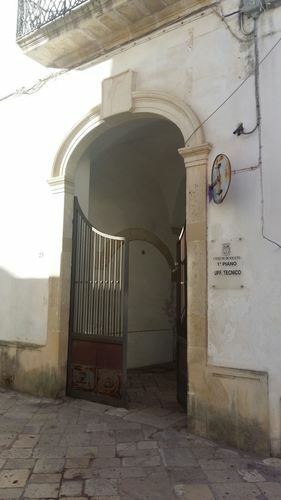 In 1908 Maria Grazia Carrozzini with a testamentary bequest destined the Sergio Palace (opposite the Church of Santo Stefano), inherited by his paternal grandmother, to be used as an Hospital with the name of the Opera Pia Maria Grazia Carrozzini. 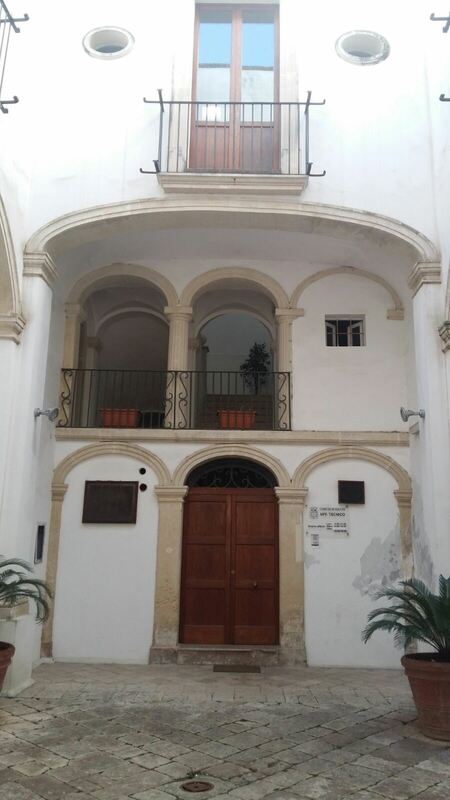 Sergio Palace was used for that purpose until the middle of the twentieth century, then it was converted to Police Station (1938-1968) and now it hosts the municipal offices. 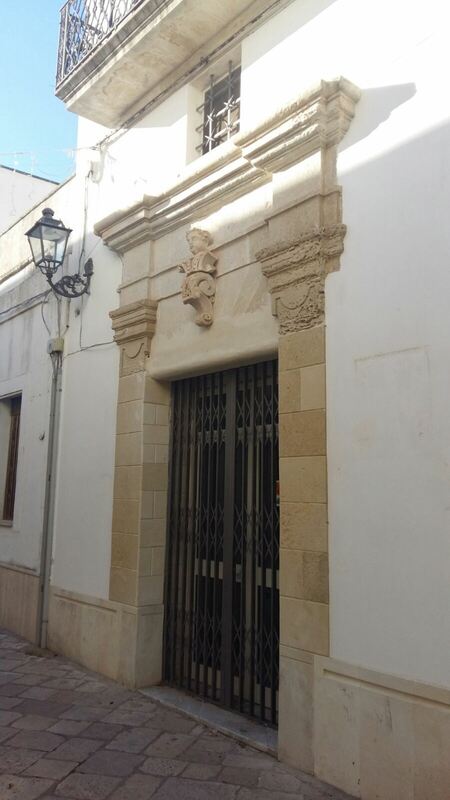 It is a huge building of two floors of the eighteenth century with a large front door and a broad interior atrium. 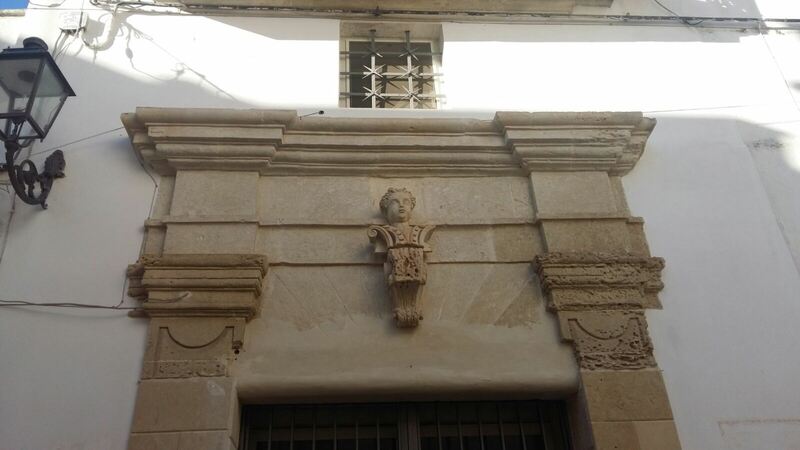 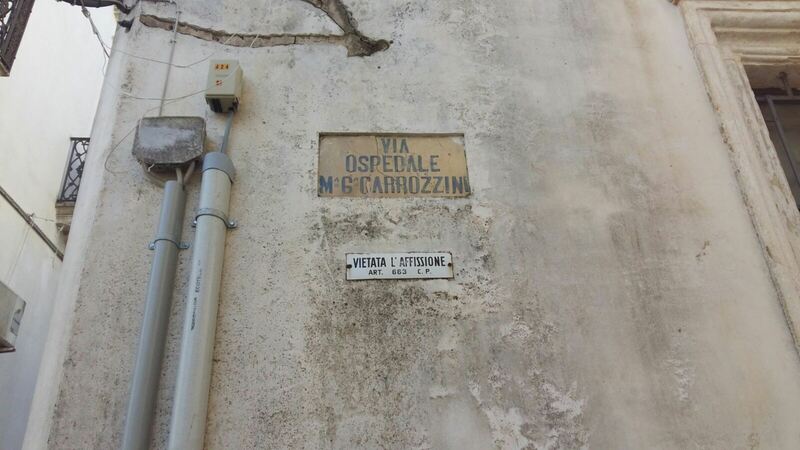 A street in the centre of Soleto formerly called Via Garibaldi is dedicated to Maria Grazia Carrozzini. Plate of the street called "Via Ospedale Carrozzini"